Egypt's Treasure Guardians premiered December 28, 2016. 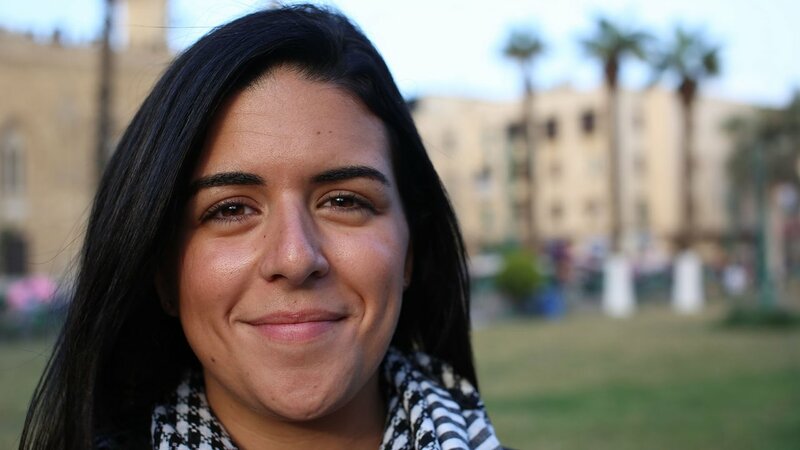 Follow individuals determined to safeguard Egypt’s heritage. Egypt is home to many of the most famous archaeological treasures on Earth, but the country’s history does more than just inspire awe. It has also given rise to an entire industry. Thousands of international archaeologists descend on Egypt every year to search for new discoveries; tens of thousands of Egyptians are enlisted to uncover, preserve and protect the land’s ancient artifacts and monuments; and millions of visitors journey from all over the world to look in wonder at the country’s iconic pyramids, tombs and temples. But over the last five years, Egypt has suffered a tumultuous revolution and tourist numbers have plummeted. 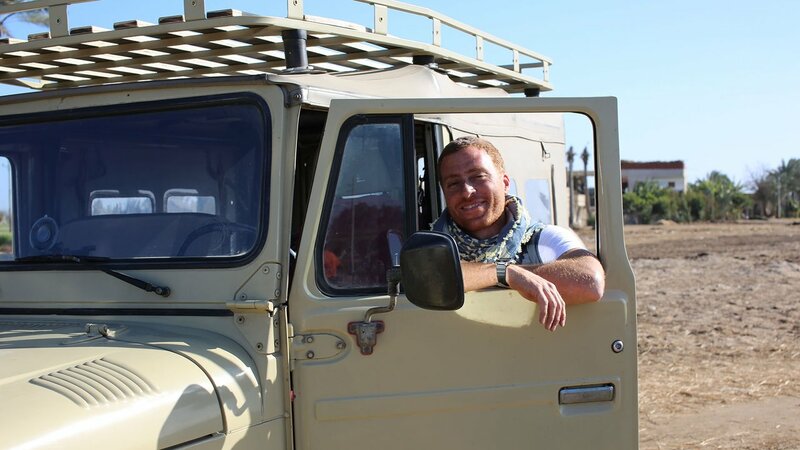 This show follows a select cast of individuals determined to bring Egypt back from the brink, to discover more of Egypt’s history, to keep its heritage safe and to get tourists to visit the country again. Read more about the show below. 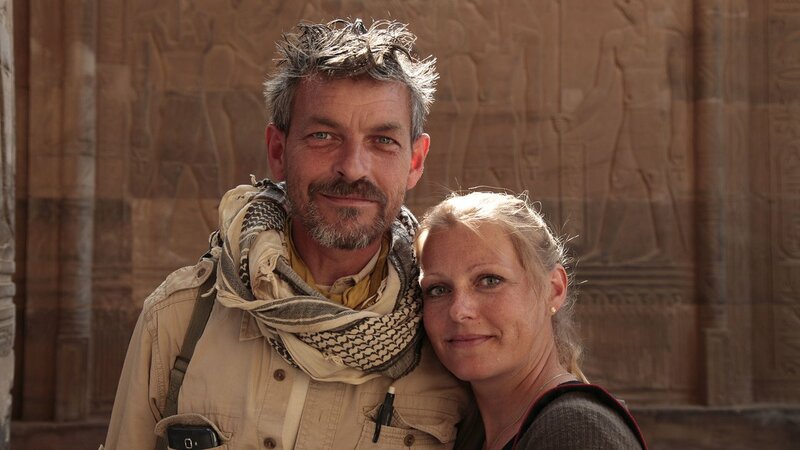 Those we meet include Dr. Maria Nilsson and John Ward, a charismatic couple who return year after year to a site in the south of the country, Gebel el Silsila. They believe this ancient quarry site is where stone for temples across the country, including the extraordinary Karnak site, originated thousands of years ago. We follow them as they work on excavating tombs in a necropolis on their 700-acre site, witness the moment they discover a hidden crypt under one of the tombs and share their disappointment as they find a modern quarry on the edge of their land. Although they are disheartened to see potential archaeological finds carted off in dump trucks, they are pragmatic. The site has been used as a quarry for thousands of years. It’s inevitable it will still be used as such. 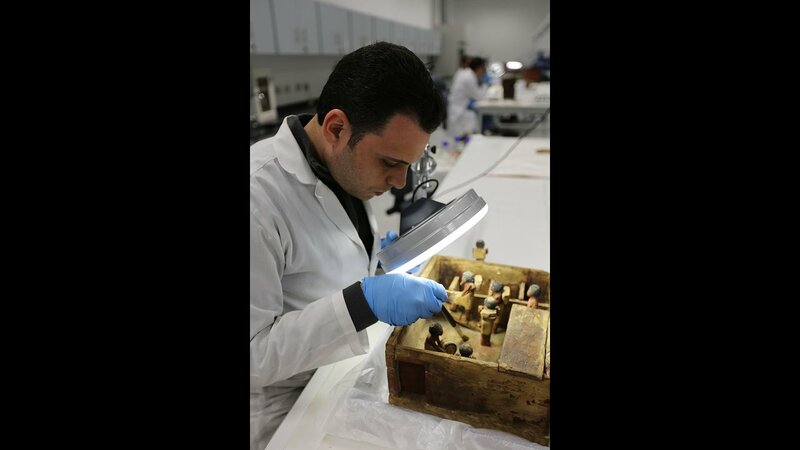 The treasures unearthed by archaeologists across the country are under threat like never before. Illegal excavations and looting from protected sites from a desperate population means Egyptian artifacts can be whisked out of the country and sold on the black market. 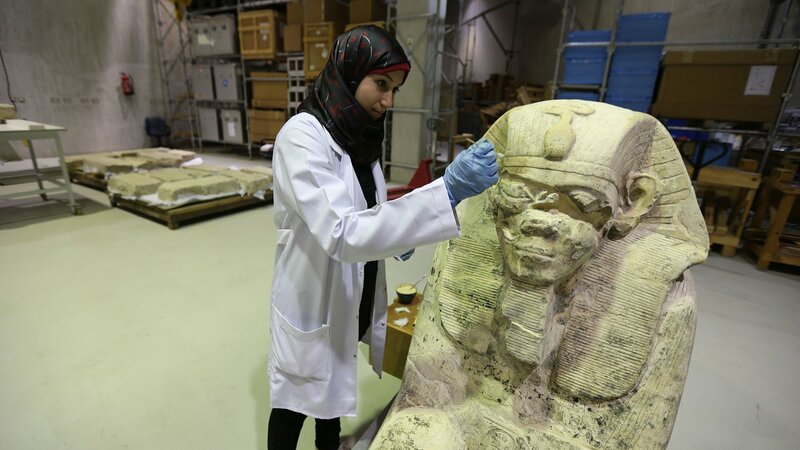 The Grand Egyptian Museum, an extraordinary $1.1 billion development designed to house and display thousands of priceless objects while keeping them safe and preserving them for future generations, is one of the responses to this threat. 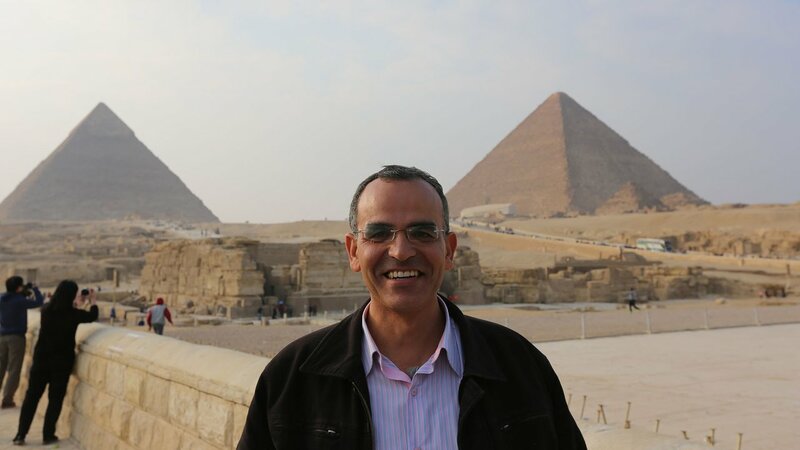 We meet Dr. Tarek Tawfik, an Egyptologist tasked with running the build of the Grand Egyptian Museum – it’s the biggest building project on the Giza plateau since the pyramids themselves. The museum holds some extraordinary treasures, like the finds from King Tutankhamun’s tomb, including a pair of 3,000-year-old sandals in almost perfect condition, and two fetuses, thought to be the king’s unborn daughters. All these treasures will be on display once the museum is built. Trying to keep the build on track is Eddy Cannaerts, one of 5,000 contractors working on the site. 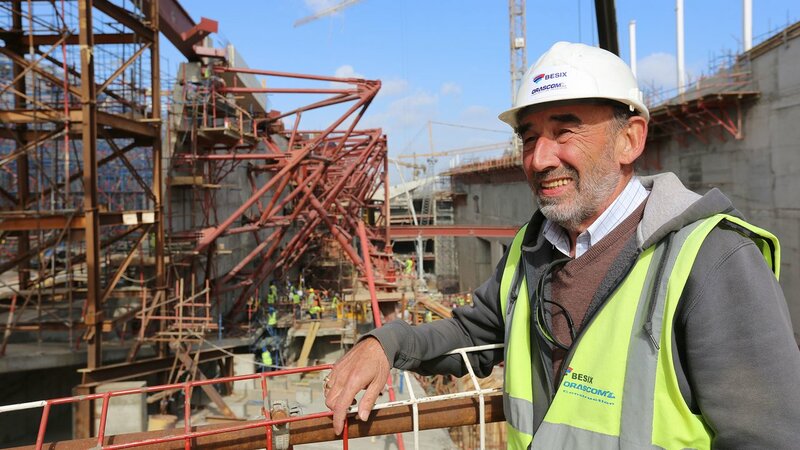 We meet him as he’s under pressure to finish the steel work on a showpiece section of the build, the pyramidal wall. The onsite cranes are broken, so Eddy has the unenviable task of trying to get another crane on-site to hit his deadlines. Before he can bring another crane into the build zone, it has to pass a load-bearing test. Unfortunately, the crane test equipment is on-site, and Eddy’s not allowed to bring the crane in to have it tested. It’s a typical challenge the usually jovial Eddy has to contend with at the Grand Egyptian Museum. 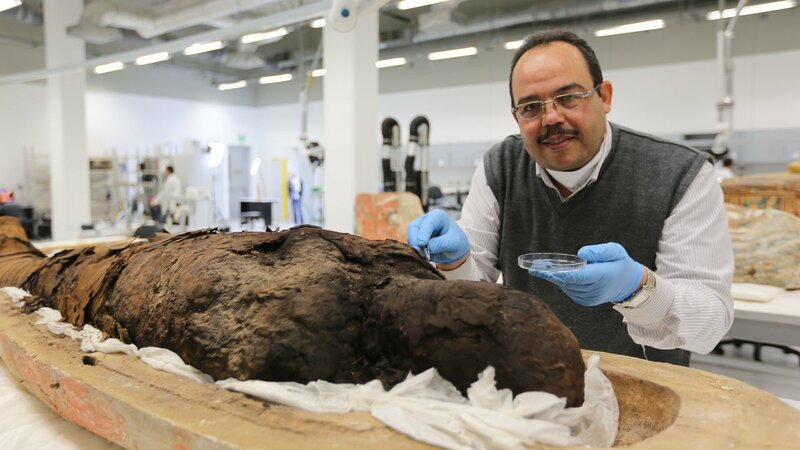 Together, John, Maria, Tarek, Eddy and a whole team of archaeologists, Egyptologists, engineers, builders and scientists are all hoping to get Egypt back on track, and bring the tourists back. in association with PBS and National Geographic Channels International.